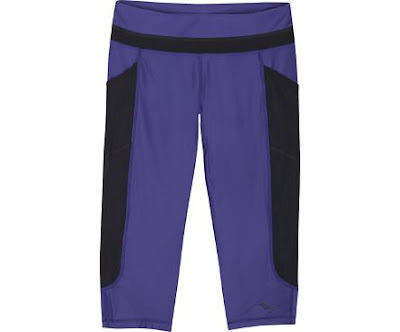 My current favorite running capris are the Saucony Bullet, which I came to own by happenstance. In March I traveled to Denver for work. If I stay in a hotel for more that a day I always hang up my clothes or put them in drawers, so I don't feel like I am living out of a suitcase, which is exactly what I did in Denver. After Denver I flew to Michigan to work from my Dad's house for a week. 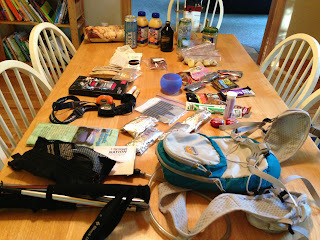 The first morning in Michigan I was digging through all my clothes looking for my favorite Nike trail running capris and I couldn't find them, I also couldn't find most of the running clothes I had packed for the trip. I slowly realized that I didn't grab anything out of the bottom drawer at the hotel. I called the hotel and they said they didn't find anything in my room. GRRRR! 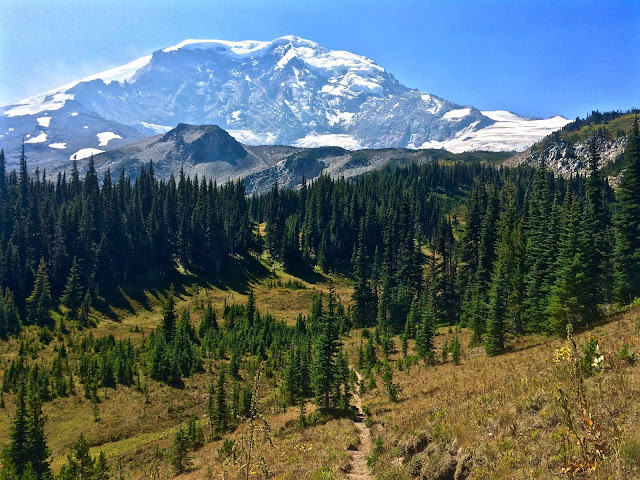 There was no way I was going to spend a week surrounded by trails and not run. We made a trip to Gazelle Sports in Grand Rapids so I could buy some new running clothes. The capris I lost had big pockets on the sides that were large enough to hold my iphone, which is perfect for when I am running without my running vest. The pocket on the sides was the only requirement I had. The only things they had at Gazelles with side pockets were a pair of short shorts with a pocket big enough for a Gu and the Saucony Bullet capris. They only had a medium and a large of the Saucony capris, I normally wear a small, but I tried on the medium because I was getting desperate. The medium fit perfectly! The Bullet capris have become my go to capris. I love the deep mesh pockets on the outside of each leg, they hold an iphone with no problem, even when I use my heavy waterproof iphone case the pants stay in place. Other running pants with similar pockets start to slip down when I use my Lifeproof case. I am also a big fan of the length of the capris, they hit just below my knee. A lot of capris seems to hit me mid-calf, which durning the warmer months is just too hot. The capris come in a lot of different colors and patterns. I own just black and the black print, I don't branch out much. As someone who spends a lot of time running in capris, I highly recommend the Saucony Women's Bullet Capris. 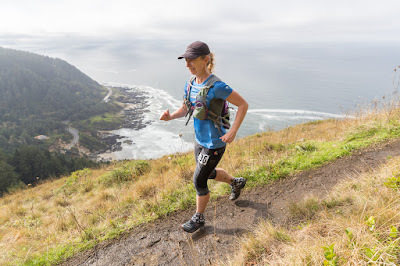 Great to talk to you guys during Oregon Coast 50k. I had a chance to checkout small section of Wildwood trail after the race.. loved it..
Glad you got to check out Wildwood! Hopefully we will make it to SoCal for some races soon. 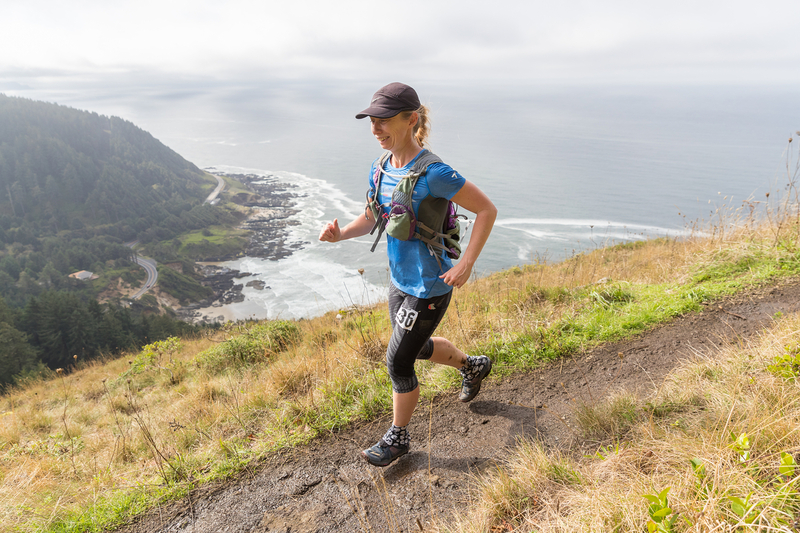 Hope you enjoyed the Oregon Coast 50k! 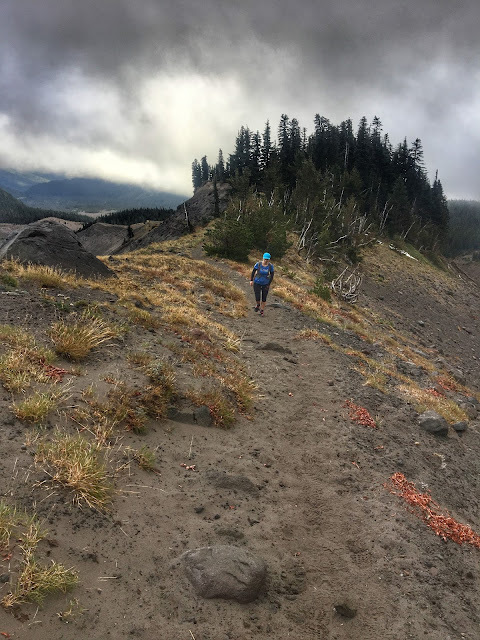 I am new to running. If you are in San Diego area and would like to check out local trails, let me know. Our trails are beautiful too, but in a different way. We don't get much rain here.. I enjoyed every bit of OC50k! Wow.. what an experience.